An Emulator is a great development which can easily be found in mobile device and computers. It is the best choice when you want to use your device as another device system. Among many other emulators, GBA4iOS emulator should be your priority. It is used to run applications which are not currently running on your iPhone. This GBA4iOS emulator is especially known and use for gaming purposes. If you install GBA emulator on iPhone X, XS, XS Max or XR you will be able to play all old and new games without any distinction. It provides full-screen support and works in coordination with the iOS and ROMS of your iPhone. This is the only emulator which is advised by professionals as it does not effect the normal working of your iPhone X, XS Max, XS or XR and cannot harm it in any way. This emulator comes with different features which are enough to give you real fun while you are enjoying your favorite games. Using this emulator, you can play Tekken 3, Super Mario, and all other lovely games which you cannot enjoy on your iPhone X/XS/XR without this GBA4iOS emulator. So, get ready to take all advantages of this emulator for free. You can easily download it from the link available at this page and follow the below steps to install it easily. At its first release, you will need a PC to sideload GBA4iOS emulator on your iPhone X, XR, XS or XS Max. As the developers are updating its features and available options, so you can install it on your iPhone X or newer model without the need of any computer in the future. So, let’s have a look at the following steps to install it. 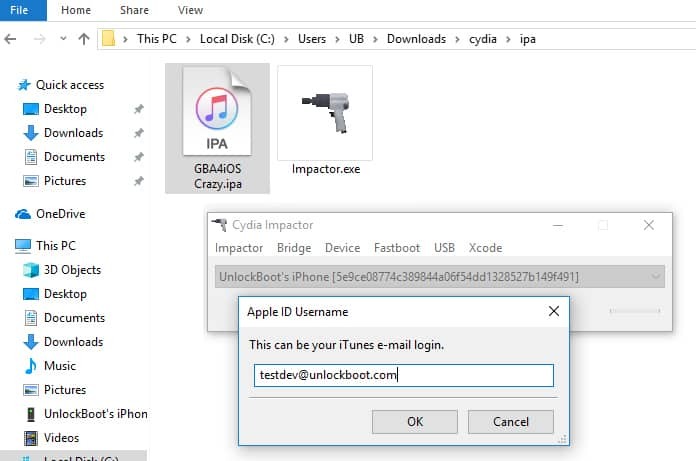 Step 1: First of all, you require to download Cydia Impactor on your PC and then extracts it on your computer. You can download it from here. Step 2: Now you need to download GBA4iOS for iPhone X/XS/XR on your PC. 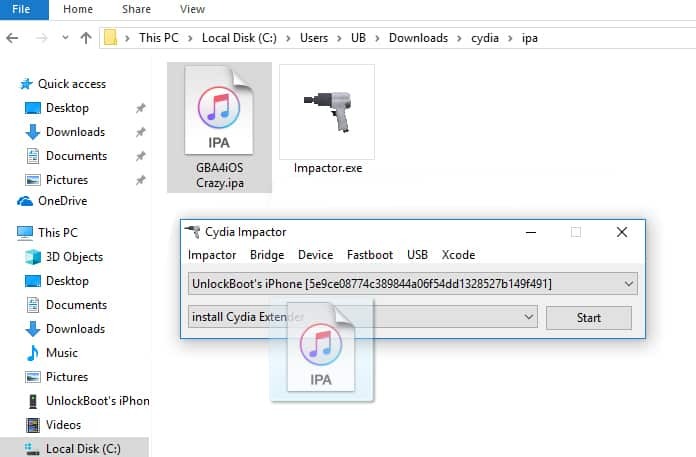 Step 3: After above step, you have to open Cydia Impactor and connect the iPhone using any USB cable. Step 4: Now please hold and drag the downloaded file named “GBA4iOS ipa” into the Cydia Impactor. Step 5: Now you have to input ID and password of your Apple. Step 6: After this, you need to wait few minutes to complete the process of installation. After installing process, you should unplug your device from your PC. Step 7: Now you have to go to ‘Settings’ > ‘General’ > ‘Profiles’ to verify your signed application. Step 8: Now go back to home screen and open this GBA4iOS on your iPhone X, XS, XS Max or XR. All done. You are able to enjoy emulator. If for some reason this method does not work, you can install GBA4iOS from TuTuApp. 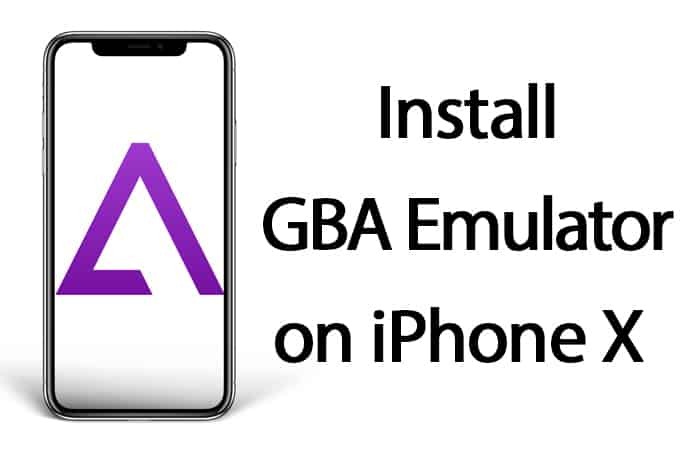 So, these are the steps which you can easily follow to install GBA4iOS emulator on your iPhone X, XR, XS or XS Max. It will take some time to install, and after that, you can enjoy the useful features and operations on your mobile phone without any worry. If you are facing any issue while installing an emulator on your iPhone, feel free to contact us. We will surely help you to solve each problem.